I am not sure whether anyone really knows from where the word cricket came from. There was cryce or cric, which was an Anglo-Saxon term for a stick or staff and then there is speculation that the Normans introduced a “stick and ball” game called criquet , after the conquest of England. The game probably evolved from different versions of “village hit-abouts” with their own flavor of idiosyncrasies. Village peasants probably were playing with a ball using the stump of a tree as the “wicket” and thus the target became known as the stumps. The game probablywas played with multiple versions of a stick and the ball as a round piece of wood till the seventeenth century cobblers began stitching a leather cover around cork stuffing. As the game developed, the earliest version of county cricket was established in 1709 when a “Kentish” side took on London, and “Kent” also played matches against “Surrey” and “Sussex”. The hereditary peerage system worked in the form “sponsorship” to develop the county cricket structure and probably that is how cricket inherited its “gentlemanly” image. As the game developed further, the laws of cricket were codified for the first time in 1744 and then amended in 1774 when innovations such as lbw, middle stump and maximum bat width were introduced. These laws stated that the principals shall choose from amongst the gentlemen present two umpires who shall absolutely decide all disputes. The codes were drawn up by the so-called “Star and Garter Club” whose members ultimately founded MCC at Lord’s in 1787. MCC immediately became the custodian of the laws of cricket and has made periodic revisions and re-codifications subsequently. The first international match was played in 1844 between USA and Canada at the St. George’s cricket club in New York. 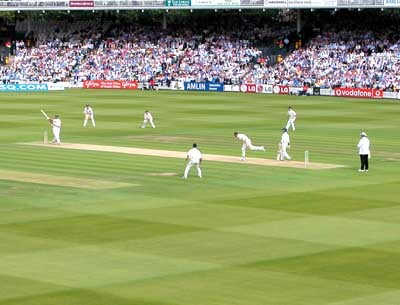 However, the official history of international Test cricket began in 1877 when Australia played England. Since then, the game has developed from its origins in England into a game which is now played professionally in most of the British Commonwealth nations and beyond. When the Imperial Cricket Conference (as ICC was originally called) was founded in 1909, only England, Australia and South Africa were members playing Test cricket. India, West Indies and New Zealand became Test nations before the Second World War and Pakistan soon afterwards. The international game grew with several “affiliate nations” getting recognized and during the last stages of the 20th century Sri Lanka, Zimbabwe and Bangladesh also became Test playing nations. In the 1960s, English county teams began playing a version of cricket with games of only one innings each and a maximum number of overs per innings. Although many traditionalists objected to this form of cricket initially, it did appeal to the younger generation and commercial interests which led to increased popularity of cricket overall particularly through an ever expanding television audience. 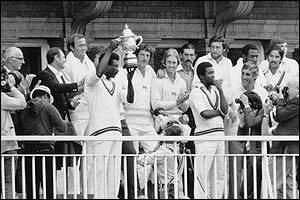 Even though the first one day international (ODI) was a hastily arranged affair as a “time-filler” in Australia after a Test match was abandoned due to weather, it grew in popularity very fast with the culmination of the first ever world cup in cricket played in 1975 and won by the West Indian team. I personally believe that the five-day Test game is the pinnacle of cricket, the format in which the best players want to test themselves and secure their places in history. However, it looks like that the current governing bodies of cricket do not believe in that philosophy. The hideous compromise of the schedule of Test matches between nations is the result of the recent upsurge of the frequency of T20 tournaments and matches. The T20 game (each team bats for only twenty overs of one innings) has completely changed the commercial landscape of cricket and I am not sure what the future bodes in terms of the purity of the game in the midst of all the welcoming innovations and modifications of the playing formats. One positive aspect of the commercial development is that cricketers across the world make a decent income as professionals that bodes well for the future development of the game.